Our innovative approach to research and field work draws on the capabilities of our Aboriginal Community Researchers. This network offers unparalleled access to the inhabitants of remote Australian communities. Since its inception in mid-2011, we have employed more than 240 people across remote Australia as Aboriginal Community Researchers. Their on-ground presence, and understanding of local knowledge, language, customs and culture ensures a more authentic, accurate and honest engagement with community members, be it for research and evaluation, community development, or communication activities. For you and your project, there’s no wasting time or money trying to reach people living in remote Australia, and no second-guessing whether your investment will be worth it. Our Aboriginal Community Researchers deliver the goods. 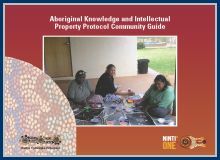 Aboriginal Community Researchers also participate in project design, execution and analysis. They are skilled in areas including governance, resource management, anthropology, business development, community-based planning, training and social analysis. We provide ongoing training and support for the Aboriginal Community Researchers. Explore some of the projects where our Aboriginal Community Researchers have been involved. 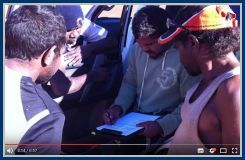 Read some documents associated with the work of Aboriginal Community Researchers, and watch the film about jobs for remote Australia.